Nobody has the time to do any extreme couponing! But is there still a way to make couponing work with a busy schedule and still save any money? 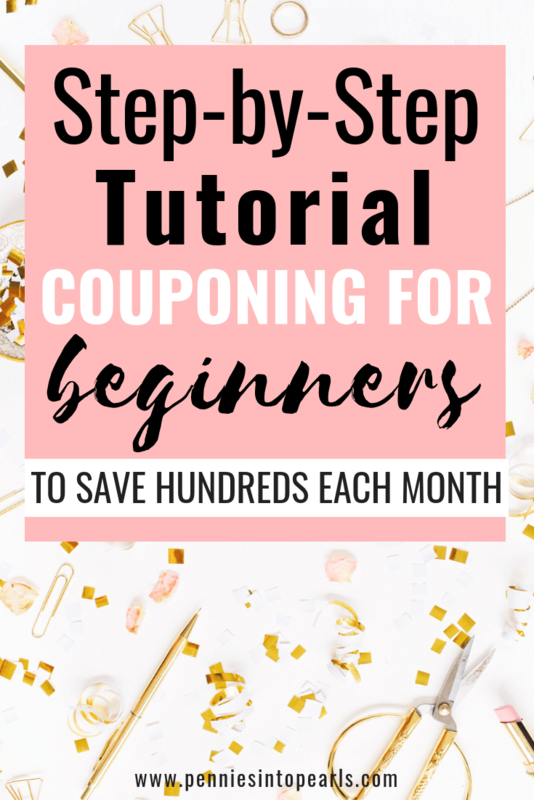 There are a few super simple techniques for couponing for beginners that will help you do exactly that! 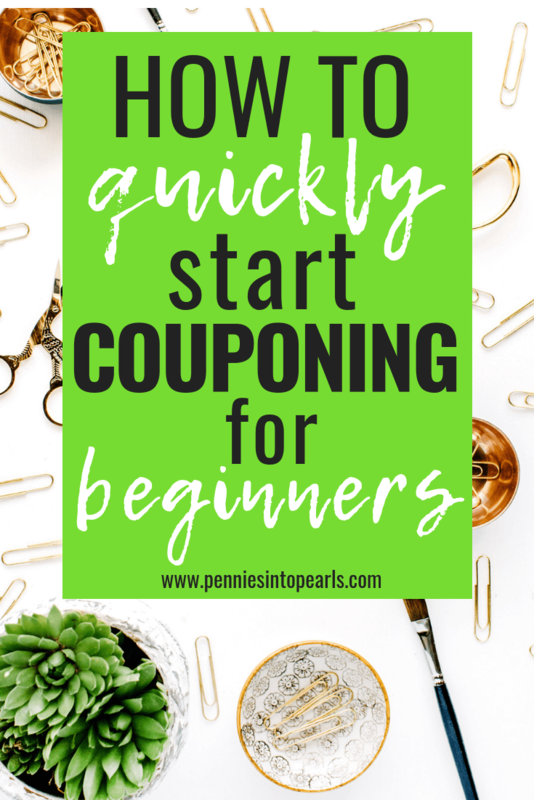 I found a way to make couponing quick and still help our family save a chunk of money every month and that’s what I want to teach you today! Our Family Budget Basics – The Real Numbers! If you are looking for any and all ways to save money, couponing is one of those ways to make it happen! Back when my husband and I were trying to get out of debt we were looking for ways to save every penny we could to put that cash towards our goal of becoming debt free. Because we were so intense in this process of saving every penny we could, we were able to pay off over $20,000 of debt in just under 12 months. Couponing is one way that got us started down that path. Overspending on groceries is the number one area where most families can easily cut back and make a drastic leap in achieving their goals. Couponing doesn’t have to be this long process of clipping and searching. 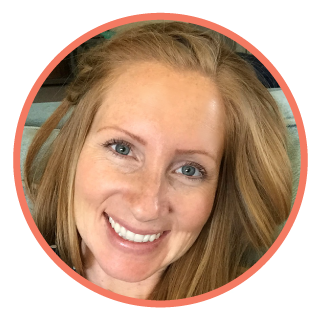 I’m going to teach you how to prioritize where you spend your time couponing and how to maximize the your return in the form of savings! What happened to Extreme Couponing? Stores quickly caught on to the couponing craze and put new rules in place that make it an enormous hurtle to build those stockpiles that you would see on TV. Is couponing still worth your time? That is up to you. You have to decide what is worth your time and how that works into your family’s customized budget. To figure that out, give casual couponing for beginners a try. Figure out how much time it is going to take you each week and how much money it is saving you. As your family finances change, your priorities will also change, which will lead you to make the decision if it is worth the time investment for couponing. For our family, I tend to be a more avid couponer when we are buckling down on some financial goals. Times like when we were paying off $20,000 in debt or saving to buy our first home are examples when I pay a lot more attention to coupons and sales. Casual couponing is the way for you to focus your couponing time on products that offer you the most savings on products your family uses the most. Resulting in a very small time commitment and in large savings. For me, this looks like 10-15 minutes a week of searching out coupons, sales, and rebates. Then organically incorporating the coupon shopping into my regular grocery shopping habits. Requiring very little additional time for that shopping. The first thing you need to do is learn what is a good price and what is an awesome price! Start by paying attention every time you go shopping. All prices are different depending on your area and which store you usually shop at. To recognize what is a normal price in your area, put an estimated price next to every item on your list. If when you’re in the store and the price is different from your estimate, make the change on your list as well as a make a mental note of the price. You can also download a free “stock up price list” like this one from The Passionate Penny Saver. This can give you a general idea of what is a good and great price. But remember that prices are different depending on where you live. Use the stock up price list to know when is a good time to buy one or a few of the item depending on the price you can get per unit. Depending on which store you shop at, they might be selling the same product but in different quantities. If you are only looking at the price per package, you might as well be comparing apples and oranges. It doesn’t work. You need to break down the price per unit. Per unit means that you divide the price per package by the number of units (items/ounces/lbs) are in each package. That will give you a price per unit cost. That is the number you need to compare between stores to decide where you can get the best price. If you have ever read any of my posts on using a cash envelope system, then you have seen how we budget $40 per month for couponing. Set a monthly cash allowance for couponing so you don’t get carried away and fill your house with useless stuff. That number will be based off what works best in your family’s customized budget. Choose one store and become familiar with their couponing policy. You now know what prices are worth your time, you now know how much money you have to work with each month, you’re now ready to start learning how to casually coupon! Every store has a different couponing policy and they are updated on a regular basis. It’s best to choose one or two stores where you will focus your couponing efforts and learn their couponing policy. How many of the same coupon you can use in one transaction per item. How many “manufacturer coupons” and “store coupons” can be used per transaction. Policy for overages for the remaining items in the transaction if the value of a coupon is greater than the purchase value of the item. To help in the learning process let’s clear up the difference between manufacturer and store coupons. Because most stores will let you use at least one of each on the same product. Major savings! The manufacturer coupon is a coupon provided by the brand. A store coupon is a coupon provided by the store. Be careful when searching for coupons on the stores website because a lot of times the coupon will actually be a manufacturer coupon even though you found it on the stores website. It will say at the top of the coupon once printed which it is. There are two types of physical clippable coupons. The kind you can print and the kind you find in ads. To limit the time spent on cutting coupons, I usually spend a few seconds a week searching through the Coupons.com App. The best way to do this is either search for items on your grocery list or search for items that you purchase on a regular basis. With Coupons.com you can print two of the same coupon per device. So if there is a sale on an item and you want to buy four of them and the coupon is for one item each, you are going to need four coupons. What you can do is print two from your phone and two from your hubbie’s phone. Other options would be to print from a tablet or from a computer. You can also find coupons in places like magazines and newspaper subscriptions. But that is my least favorite way because it requires spending money to get the coupons. If there is a product you really want to save money on, try looking on the brand’s website for more printable coupons. A lot of stores are offering coupons straight from their website or app that can be downloaded to your loyalty card or phone then scanned at checkout. Stacking a coupon with a cash back offer is when you start to really maximize your savings and it doesn’t take much time at all to find the deals. You can start by using your favorite cash back app (Mine is Ibotta). It’s super quick to scan and see what rebates are available. I recommend sticking with just one or two apps so you don’t waste too much time searching. Sign up for Ibotta HERE! Another way to stack the savings to is stack coupons and/or cash back offers with sale prices! That would look like using a $1 off coupon for a shampoo, that also has a $1 back offer with Ibotta, AND the store has the shampoo on sale for $3 per bottle. This ends up making the bottle of shampoo only $1 each! An in-store offer might look like earning a $5 store gift card when you buy a certain number of products together. An example would be, you can get a $5 Target gift card after purchasing four shampoos. That would be the couponing mother of all deals! When you find deals that work like that, it’s gold! I like to use the Krazy Coupon Lady app to match up all the coupons, sales, and rebates for me. This is a HUGE time saver! Their app is awesome because you can choose which stores you want to watch and they will show you how to work the transaction in order to maximize your savings and is perfect for couponing for beginners. Are you ready to start couponing? You can do it! Once you get the hang of it, just 15 minutes a week can help you save over $100 a month! If you have any questions make sure to leave them in the comments so I can help ya out! FREE Budget Meal Planner and How it’s Going to Save You Money!